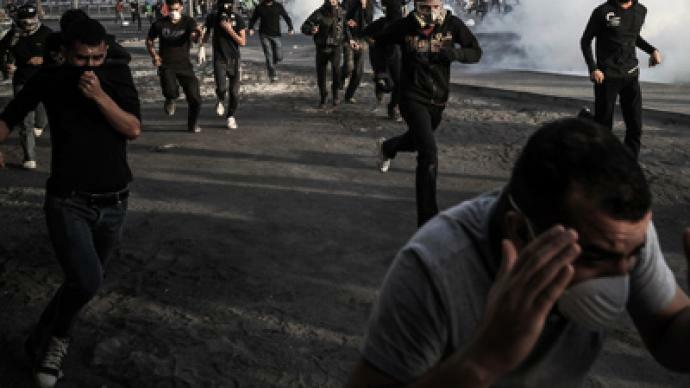 Violent clashes broke out in Bahrain at the funeral of a teenager killed in protests marking the anniversary of the revolt of the Shiite majority against the ruling monarchy. The procession was blocked and dispersed with stun grenades and tear gas. ­Scuffles erupted after armed security forces blocked access to Hussein al-Jaziri's funeral in the village of Daih on Saturday. 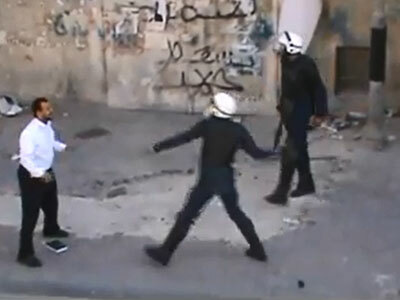 The authorities used stun grenades and tear gas to push out those who came to pay their respects. Thousands of people attended the funeral after which the crowd of protesters marched on "Pearl Square" in Manama, the center point of the 2011 uprising. Several people sustained injuries when police fired tear gas to disperse them, local witnesses report. In the village of Sanabis west of the capital, local witnesses reported police using force to disperse a crowd hurling rocks and petrol bombs. Police fired tear gas during clashes with the protests. Saturday’s events are the latest in a series of tussles between Shiite protesters and the authorities since Thursday, when the country’s opposition marked the second anniversary of revolt in the small island nation hosting the US fifth fleet. 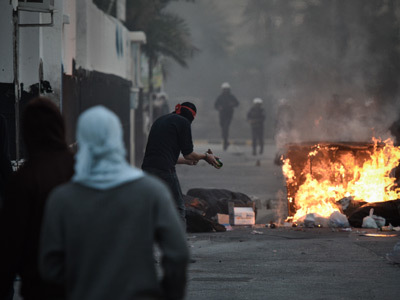 The violence escalated following the death of a teenager on Thursday who was shot by security forces during protests against the kingdom's rulers. One policeman was also killed in that clash. Although Thursday’s march had been authorized, Bahrain’s information minister Samira Rajab told RT that the killed teenager, along with a group of provocators, were in a forbidden zone “heading towards the police” with Molotov cocktails in their hands. Two police officers had been placed in “preventive detention” in connection with this week’s events. 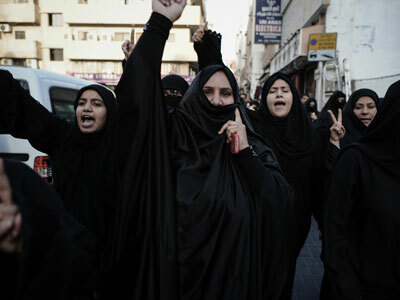 On Friday violence erupted after a crowd blocked a highway linking a number of Shiite villages to the capital. Earlier authorities announced the arrest of four people in an overnight assault on law enforcement that wounded four policemen. 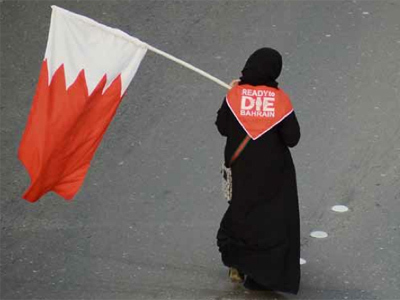 Bahrain’s two-year struggle has taken an estimated 80 lives, with torture and illegal detention allegations also brought against the regime by human right advocates. On February 10 the Sunni dominated government started talks with Shiite opposition in order to fulfill oppositions’ demands for democratic reforms.